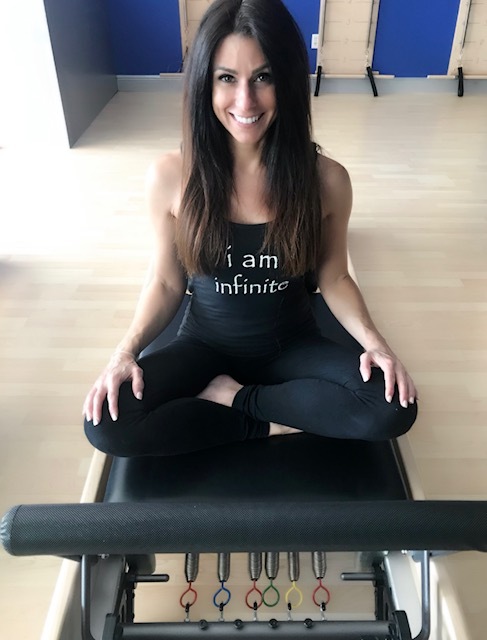 Ginny had been practicing Pilates for over 7 years, while realizing the incredible benefits and its concrete method of focused movement, she decided to pursue her instructor certification studying under Amalia Maria – through the Balanced Body Method – in the Summer of 2017. Coming from years in a high level corporate background, Ginny needed a change in her life. Her passion of Pilates combined with her compassion for people, more importantly the Infinite Family, began to sparkle more than the fancy bags and shoes of her corporate fashion director position. She decided to trade in her high heels for flip flops and put her business experience to work and continue to grow and strengthen Infinite. She exudes a love for pilates, fitness, and health and loves nothing more than helping others become healthy and strong.